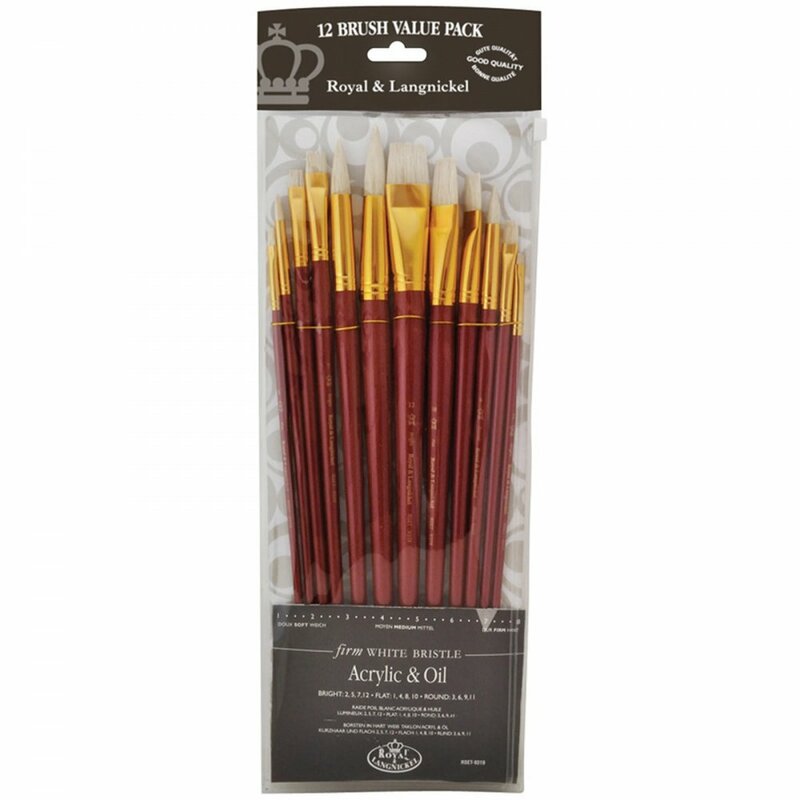 These Value brushes are great to use with school project, ideal for both oil and acrylic experiments and painting, the brushes are excellent value for money and are ideal for the hobbyist and students. The 12 piece set consists of sizes 2, 5, 7, 12 Brights. 1, 4, 8, 10 Flats. 3, 6, 9, 11 Rounds.